From the front inside fly leaf: Frank Broome was a 15 year old schoolboy when he experienced the three major blitzes in his home city of Coventry and at the age of 17 volunteered for the Royal Air Force Volunteer Reserve in 1942 for pilot training. This autobiography, based on his copious diary entries and log books traces his pilot training in the UK, Canada and the USA where he flew single and twin-engined aircraft. Despite his almost perfect training record he, like many of his fellow trainees at this time, was not to gain his RAF wings. There was a shortage of air crew, other than pilots, and Frank eventually transferred to an air-gunnery course. On his return to the UK he undertook operational crew training on Wellington as a tail gunner and made operational training sorties over enemy territory shortly after the D-Day landings. His crew then converted to four-engined heavy bombers - first the Halifax and then the Lancaster. He gives first-hand detailed accounts of the many missions during his tour with No. 626 Squadron during the height of Bomber Command's massed raids over Germany and occupied Europe. Excitement abounds with narrow squeaks from enemy night-fighters, radar directed anti-aircraft fire and other hazards of this most dangerous task. He eventually flew with two Wing Commanders and a Squadron Leader with crews who gained several gallantry awards. 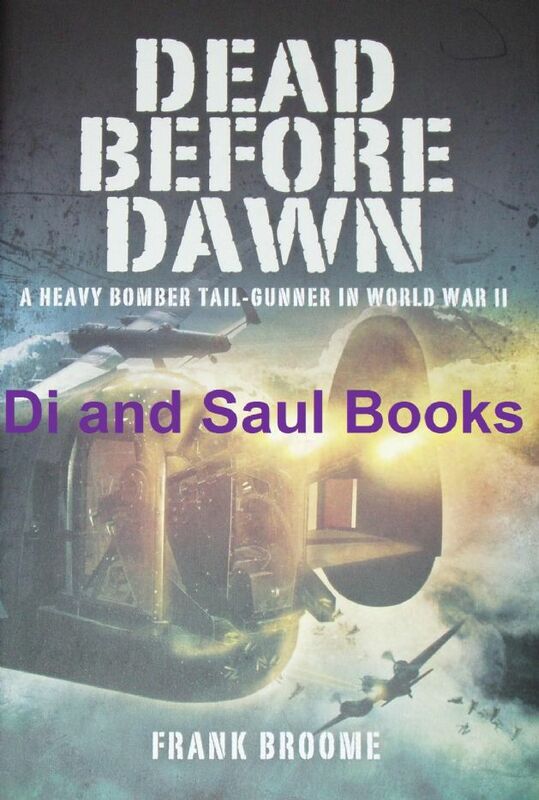 His book is written with a skill that portrays the dangers inherent in his task, the humour of service life and the sound reasons why his generation were proud to fly with Bomber Command.